If you ask about truth--as a teacher would on a test--they can give the right - Sunday school answer. But, if you inquire more deeply into how that truth is actually permeating their lives, the gap is enormous. This study is designed to move a person through the basic teachings of the Christian life and insists that the person apply the truths. (In fact, in a former church, I simply stopped meeting with a man because he was not carrying out the 'homework' assignments. And we never finished the process because he would not commit to do what was assigned. And I would do the same today in a heart-beat.) 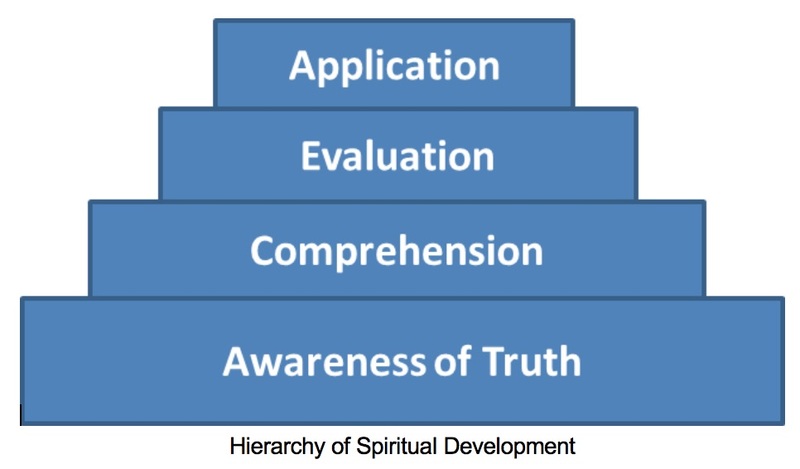 This is not about gaining knowledge; it is about elevating a spiritual life. PASTOR JANNEY – After being here for about four months and having time to pray about and evaluate our men, I simply invited two men to begin to meet with me--individually-- for a maximum of 13 'sessions'. Usually, with schedule conflicts, etc., this expands over a four-month period of time. Thus, it generally 'works' that I have three 'seasons' of discipling each year. And I do try to work with men co-incidentally, so that I'm not at the beginning of one study with one man, in the middle with a second, and toward the end with a third. (But, also, truthfully, I've found that I cannot personally disciple well more than two men co-incidentally. The time in prayer and preparation, and in the actual discipling, plus the spiritual battle that intensifies during the process, means that my limit is no more than two simultaneously.) But, plainly, I just started. That is, I made no fanfare, no public announcement, no broad-based invitations, I simply began discipling men. PASTOR JANNEY – Not to over-spiritualize, because there was some human thought/deliberation in this: but, primarily, I simply sought the Lord concerning who would be the most likely reproducers, and then approached the men individually. A few declined at first, and some have uniformly declined to this day. But the vast majority has welcomed the opportunity when invited. MD – How did you identify men for the second-generation discipling? PASTOR JANNEY – Make more concerted effort to have monthly/bi-monthly follow-up meetings with those discipled. One thing that I've not been able to effect—simply by virtue of the busyness of our men's schedules-- is to get the disciples together for mutual edification. I tried it once, with only two or three showing up. Thus, to this point, the second-generation efforts are not nearly what I'd hoped for. I do strongly believe that once the 13 sessions are done, the disciple needs to know that he is released...that this isn't a 'life sentence'. But I recognize more clearly that there needs to be more on-going contact than I have done deliberately. But--granting myself some grace, too--this is the first church in which I've done anywhere near this number of men--including the church where we ministered the longest. Thus, this is a relatively new experience for me, too. On the other hand--at least here--most of the men whom I've discipled have moved into church leadership. Thus, I have at least monthly contact with the vast majority, but in a functional/goal-oriented/ministry-oriented way.